Meet the OrCam MyMe, a tiny device that you clip on your T-shirt to help you remember faces. 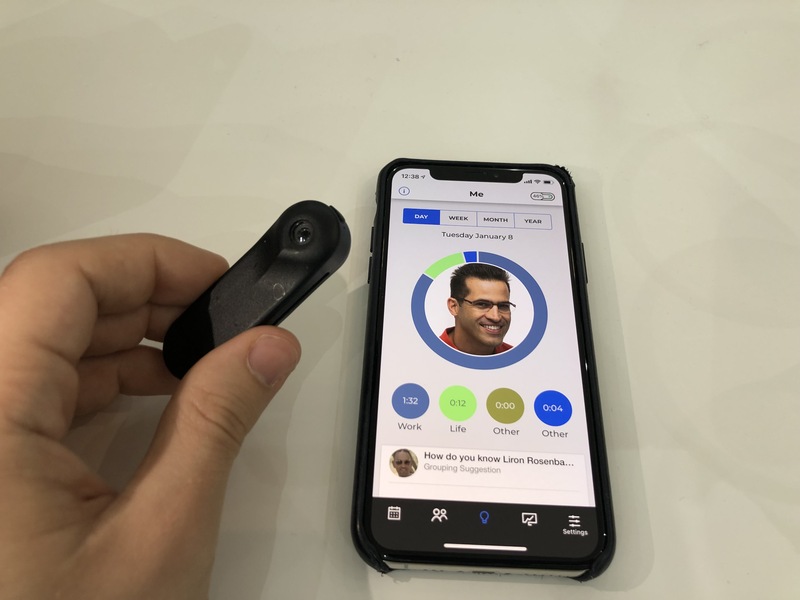 The OrCam MyMe features a small smartphone-like camera and a proprietary facial-recognition algorithm so that you can associate names with faces. It can be a useful device at business conferences, or to learn more about how you spend a typical day. This isn’t OrCam’s first device. The company has been selling the MyEye for a few years. It’s a wearable device for visually impaired people that you clip to your glasses. Thanks to its camera and speaker, you can point your finger at some text and get some audio version of the text near your ear. It can also tell you if there’s somebody familiar in front of you. OrCam is expanding beyond this market with a mass-market product. It features the same technological foundation, but with a different use case. OrCam’s secret sauce is that it can handle face recognition and optical character recognition on a tiny device with a small battery — images are not processed in the cloud. It’s also important to note that the OrCam MyMe doesn’t record video or audio. When the device detects a face, it creates a signature and tries to match it with existing signatures. While it’s not a spy camera, it still feels a bit awkward when you realize there’s a camera pointed at you. When there’s someone in front of you, the device sends a notification to your phone and smartwatch. You can then enter the name of this person on your phone so that the next notification shows the name of the person with whom you’re talking. If somebody gives you a business card, you can also hold it in front of you. The device then automatically matches the face with the information on the business card. After that, you can tag people in different categories. For instance, you can create a tag for family members, another one for colleagues and another one for friends. The app shows you insightful graphs representing your work-life balance over the past few weeks and months. If you want to quantify everything in your life, this could be an effective way of knowing that you should spend more time with your family, for instance. While the device isn’t available just yet, the company already sold hundreds of early units on Kickstarter. Eventually, OrCam wants to create a community of enthusiasts and figure out new use cases. I saw the device at CES last week and it’s much smaller than you’d think based on photos. You don’t notice it unless you’re looking for the device. It’s not as intrusive as Google Glass for instance. You can optionally use a magnet if the clip doesn’t work with what you’re wearing. OrCam expects to ship the MyMe in January 2020 for $399. 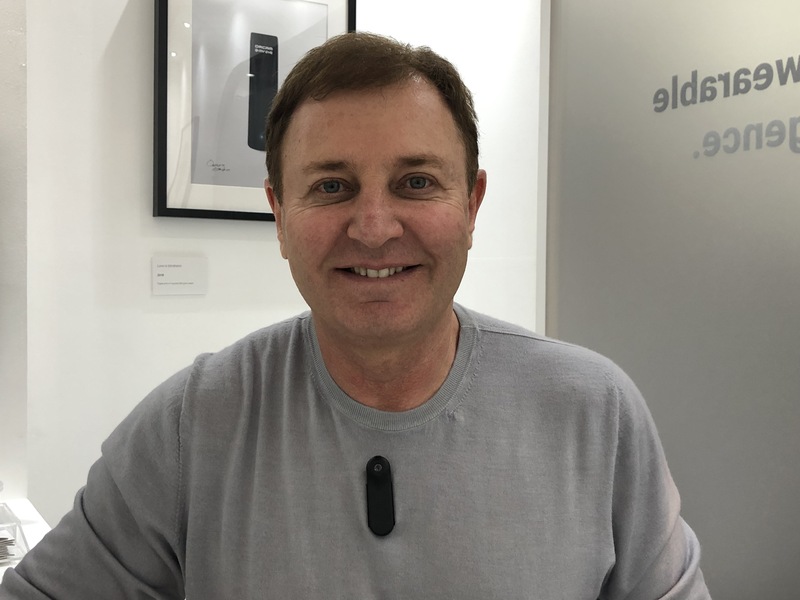 It’s an impressive little device, but the company also faces one challenge — I’m not sure everyone feels comfortable about always-on facial recognition just yet.